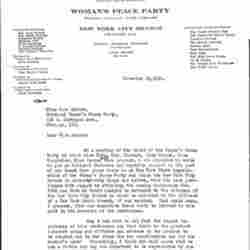 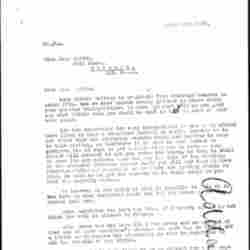 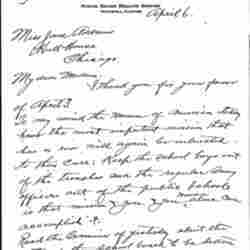 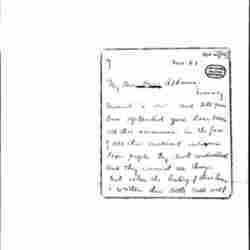 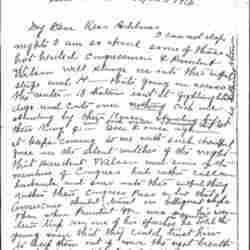 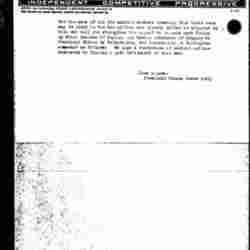 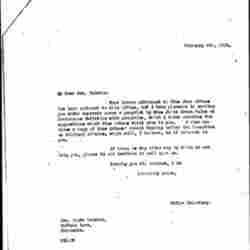 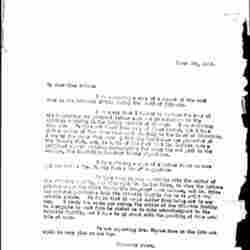 Hyers writes to deny the official association of two particular woman to the Woman's Peace Party. 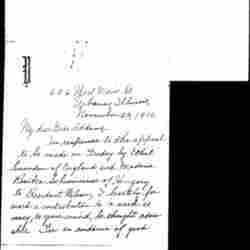 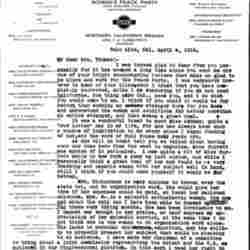 Addams tells Harriet to ask Gordon to send a telegram to her many Women's Christian Temperance Union branches throughout the US. 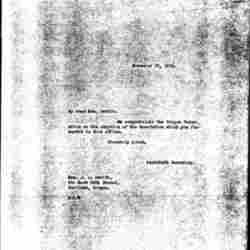 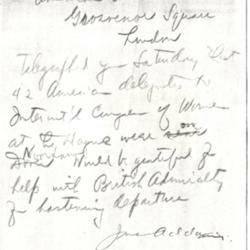 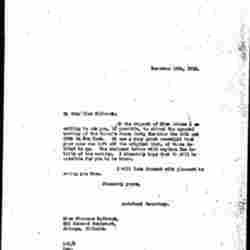 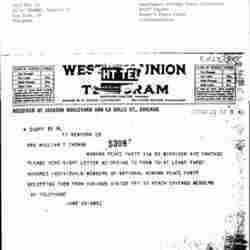 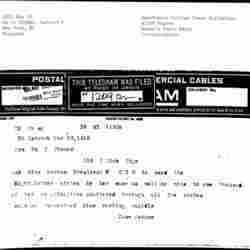 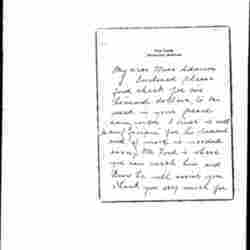 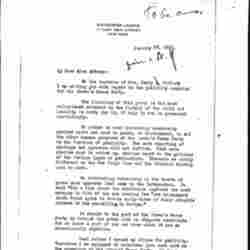 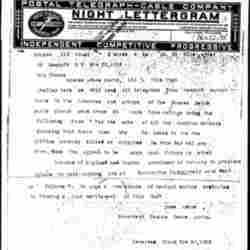 Ford donates a large sum to the peace movement and asks Addams to send greetings to her colleagues. 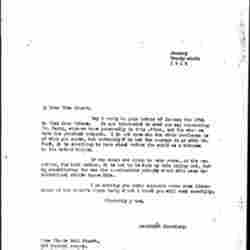 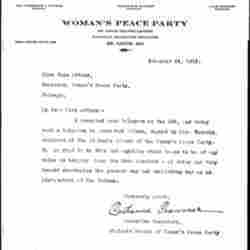 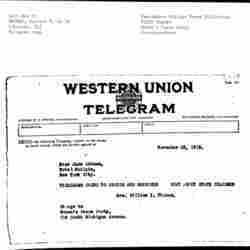 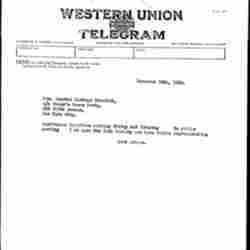 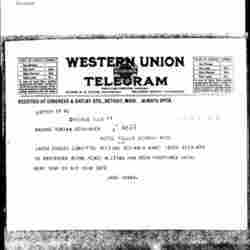 Addams sends Shelley the format of the telegrams to be sent to all Women's Peace Party members and asks her to send the ones from Chicago as soon as possible. 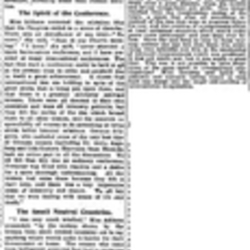 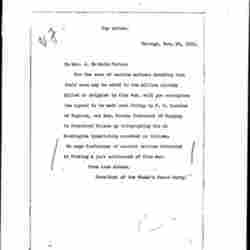 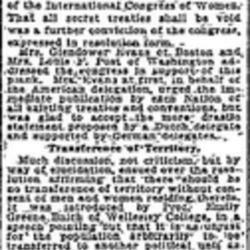 Addams urges Women's Peace Party members to write Wilson requesting the organization of a conference to end the war for the sake of mothers of soldiers. 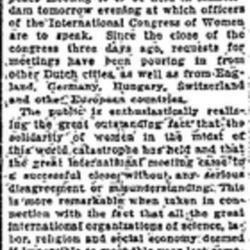 Addams announces a public meeting in Amsterdam during which leaders of the International Congress of Women will discuss , noting public support for peace. 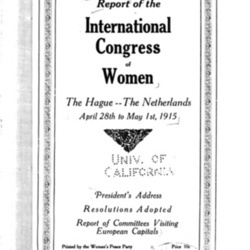 Addams reports on a resolution calling for arbitration passed by the International Congress of Women. 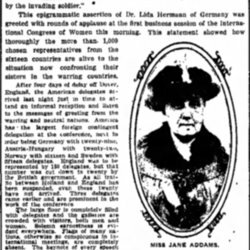 Addams discusses the International Congress of Women's stance against war and the role American women play.